Disney Basic Hairplay Sleeping Beauty Doll Just $5.80! 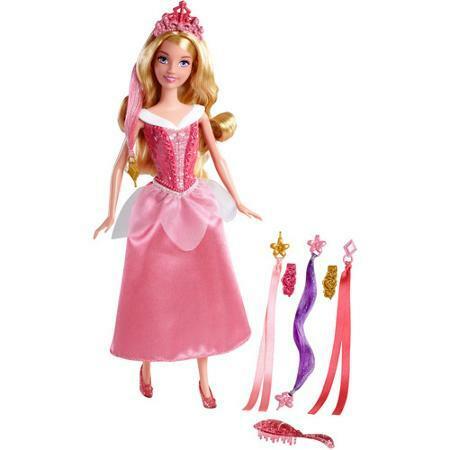 You are here: Home / Great Deals / Disney Basic Hairplay Sleeping Beauty Doll Just $5.80! Head over to Walmart.com to get this fun to play with doll! Pick up the Disney Basic Hairplay Sleeping Beauty Doll for Just $5.80 and begin the styling! Order online and pickup in store for FREE or get FREE shipping on orders of $35+! The Disney Basic Hairplay Sleeping Beauty Doll lets you style your favorite Disney princess’ hair in a snap. This adorable doll has made Aurora’s beautiful blonde hair extra long to accommodate all kinds of hairstyling fun. The Disney princess doll comes with a brush, two barrettes, two sparkly hair extensions and two satiny ribbons.